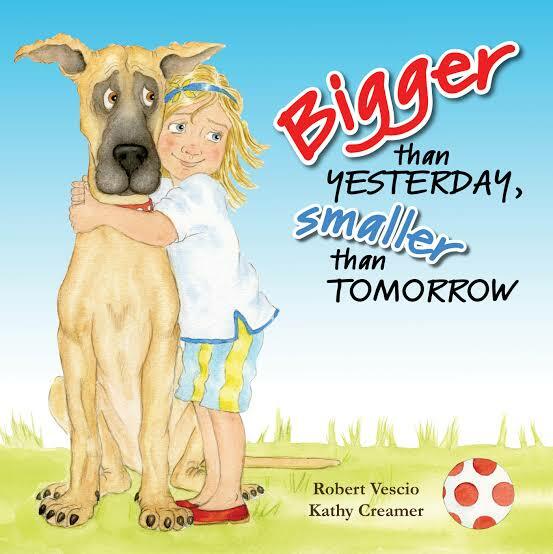 Bigger than Yesterday, Smaller than Tomorrow, Robert Vescio (author), Kathy Creamer (illus. ), Little Pink Dog Books, October 2018. 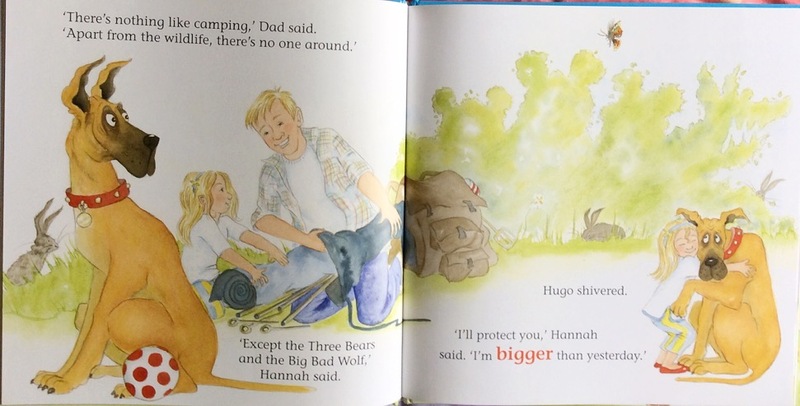 …is Hannah bigger than she thinks? An enchanting tale about a child who craves independence but also longs for the security of Mum. Robert Vescio bares his soul in this endearing story that shows that size does matter when it comes to matters of the heart. Vescio is the talented author of many children’s titles surrounding themes of self-value, responsibility and positive attitudes, and Bigger than Yesterday, Smaller than Tomorrow is no different. With a young child’s yearning for independence and the unequivocal need for security, plus a bit of adventure, at its heart, this book ticks all the boxes in terms of its universal appeal for the preschool age group. Adventure is not far away as the little-miss-independent girl sets up camp, climbs trees, and talks to hooting owls… ‘with Dad’s help’. As night approaches, Hannah starts to feel ‘smaller than tomorrow’; a common reaction amongst young children when suddenly faced with the unfamiliar. Worries are quelled with a touch of humour and a warm, fluffy embrace… and Hannah knows she’s not the only one who needs it, even if the distance is ‘smaller’ than she thinks. With a suitable mixture of narration and dialogue, along with the gentle illustrations, this book emanates a strong sense of homeliness and reassurance that young children will quickly respond to. Bigger than Yesterday, Smaller than Tomorrow opens up pathways to conversations about feelings of growing up yet still being small. It encourages some risk-taking and autonomy with the comfort of knowing there is safety and a place of belonging that is never too far away. 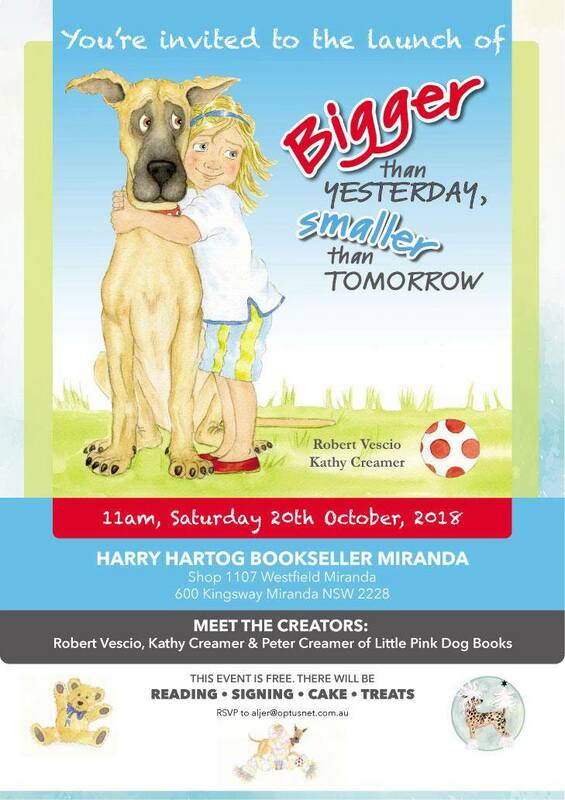 You Are Invited to the Launch of Bigger than Yesterday, Smaller than Tomorrow! With creators, Robert Vescio, Kathy Creamer and Peter Creamer. I love the title of this book, Romi, and the story sounds just as delightful – great for growing kids with a growth mindset.